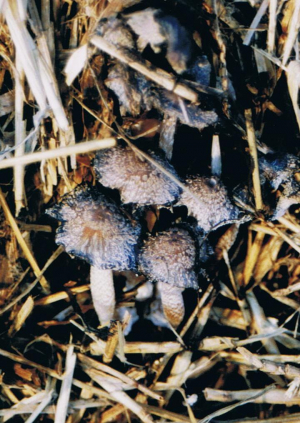 Observation - Inkcaps on dung - UK and Ireland. Description: Numerous on large piles of dung and rotting straw. Numerous on large piles of dung and rotting straw.